AboutYourStartup.com is a unique platform that allows startuppers to share and showcase their startup to a crowd of potential investors, customers, partners or just followers. 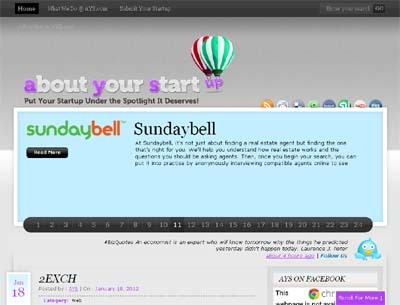 Having your startup featured on AboutYourStartup.com does not only mean that your startup will benefit from greater visibility, but also entrepreneurs can benefit from potential investors, clients and synergies created amongst startups within the website. Its “killer” factor is constituted by the great accessibility of each startup from both visitors and other startups. It is therefore a sort of startup marketplace which enhances the chance of creating synergies and opportunities between startups.